"Our Success Depends on Your Success"
In an effort to ensure your success and satisfaction with hearing aids, we offer the Keystone Continuing Care Program. Our program provides you with a complete range of services at no additional cost. "Friendliness...Honesty...and Price! I don't see one area that needs improvement"
The Keystone Hearing Institute has been a known leader in hearing aid services for the past twelve years. Our experts dispense over 30 hearing aids per month and have patients from infancy on up. Today’s digital hearing aids are, quite simply, hearing computers. This technology is capable of focusing on a single voice in a noisy crowd, automatic focusing wherever speech is coming from, allowing the hearing user the ability to personalize the performance of his/her own hearing instrument. These are the smallest, least visible hearing instruments. This type of instrument is suitable for many types of hearing losses; however, do require that the instrument be placed deeply in the user’s ear canal. There are some individuals who do not enjoy this type of placement due to its deep fitting. Due to their size, these instruments may not always be bluetooth compatible. These instruments have quickly become the world’s most popular approach to amplification. The RIC hearing instrument is composed of a very small above ear portion that is connected to the user’s ear via a very thin wire. The speaker of the instrument is placed in the ear canal; however, the canal is not completely occluded. This results in excellent sound quality, comfort, and a very discrete fitting. The BTE hearing instrument is composed of an instrument that fits behind the user’s ear and is coupled to the ear via a custom made ear mold and rubber tube. These instruments are commonly used for more severe hearing loss applications. It is now possible to obtain a highly water resistant BTE hearing instrument. These digital hearing instruments are designed for those with an unaidable hearing loss in one ear. A microphone fitted to the poor ear side transmits sound from that side to the better hearing ear. This results in the ability to hear sound from both sides. CROS/BiCROS hearing instruments are available in many different styles from in-the-ear to behind-the-ear. Whether you are a jet engine mechanic or the weekend warrior…mowing, trimming, and hedging your lawn - hearing protection should be an essential part of your tool kit. Our audiologists specialize in determining precisely what type of hearing protection is best for your specific needs. From the popular, custom-made in-ear hearing protective device that has become so popular with hunter’s to over the ear earmuffs, we have the right product for you. 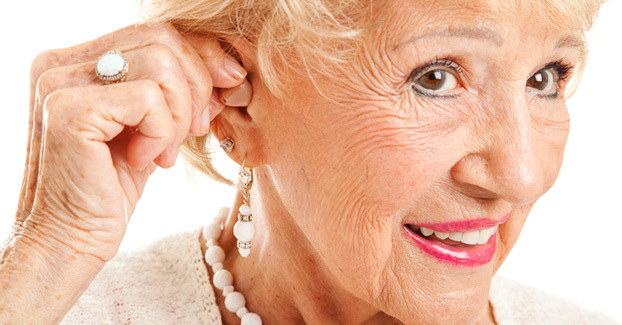 Tinnitus is one of the more common complaints among those visiting audiology offices. Untold thousands experience the annoying effects of “ringing in their ears” on a continual basis. Tinnitus maskers are, essentially, hearing aids; however, they typically present a subtle sound to the ear that has a cancelling effect on the tinnitus. The latest advancements include the use of “music-like” sounds that has been shown to result in relaxation and a reduction in the tinnitus. Tinnitus maskers are also used in conjunction with traditional hearing aids in order to enhance the volume of speech sounds while reducing the negative effects of tinnitus. *Two factoids to remember: (1) a hearing aid will not make one’s tinnitus louder and (2) tinnitus is not loud enough to interfere with hearing. The ability to enjoy the sound of music while ensuring that your hearing will be protected for years to come has never been so important. Our doctor’s of audiology are experts in the manufacture of custom-made in-ear monitors for musicians. We work with the world’s leading manufacturers (Shure and Westone) to ensure that your hearing is protected whether you’re a world famous recording star or a struggling local artist. What’s more, in-ear monitors make you a better artist…it’s proven! Our experience making in-ear monitors for Demi Lovato’s band, members of the Harrisburg Symphony, or any number of local musicians has established the Keystone Hearing Institute as central PA’s leaders for musician hearing products.